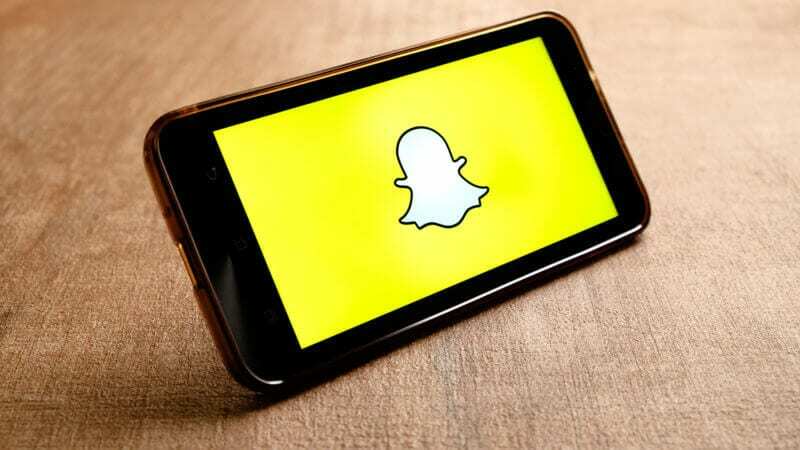 Snapchat is partnering with Storyful, NewsWhip, SAM Desk and Tagboard — all news-focused platforms used by journalists and media organizations — to open up news-related content for wider distribution. Using Snapchat’s Story Kit API — which makes it possible to embed publicly shared Snapchat Stories on websites outside of the app — the Snapchat partnership means each of the four platforms will be able to access and distribute news content posted within the app. Starting today Storyful, NewsWhip, SAM Desk and Tagboard will be able to use our Story Kit integrations to access, and distribute publicly shared Snapchat content to the thousands of newsrooms and storytellers they collectively reach. Snapchat content will then be featured and searchable within each partner[‘s] respective products. Journalists will be able to use these platforms to get alerts, search for relevant topics or locations, and to save searches for future use. In addition to news content shared on Snapchat, the four platforms will also have access to content shared on the app’s Discover channels that include editorial content from a select group of media organizations — such as NBC News, The New York Times, The Washington Post, BuzzFeed, NowThisNews and The Economist — along with news content curated by Snapchat’s in-house editors. The four platforms that have partnered with Snapchat each have a specific focus. Storyful, a tool used for surfacing social video content, says it will leverage Snap’s API to create a video content feed that includes geolocation and time-stamping, making it possible for the platform to sequence breaking news events with video sourced from Snapchat. “Our social data, agile technology and journalistic provenance is a unique offering that makes sense of social media for partners. Adding Snap strengthens our ability to deliver the investigative research and video that our partners need so they can report on breaking news and global trends with speed and accuracy,” says Storyful CEO Sharb Farjami in a release announcing the company’s partnership with Snap. While Storyful’s focus is video, NewsWhip uses predictive analytics to track “hundreds of millions” of news stories from around the world and determine which will attract the most attention. SAM Desk is an AI tool that surfaces breaking news via social media data, and Tagboard is used by broadcast networks, brands and sports teams to curate real-time social content for their own content purposes. According to Snapchat, the partnerships announced today build on its current efforts to extend Snapchat’s reach by making content available on a wider basis outside of the app. Last month, the company launched Snap Kit, its developer platform made of four separate APIs, including the Story Kit integration. The post Snapchat partners with 4 news discovery platforms to help push content beyond the app appeared first on Marketing Land.